In early 2018, Chorus Call Australia began implementing the Net Promoter Score (NPS) to understand more about the experiences of our customers. While we have used customer surveys in the past, we were driven to find a simpler way of measuring customer loyalty that is easier to measure and faster for the customer to complete. The Net Promoter Score (NPS) is a customer satisfaction metric developed by Fred Reichheld and Laura Brooks for B2B and B2C companies of all sizes. NPS seeks to understand whether customers of your business will advocate for you in their personal and professional communities, just by asking one simple question – how likely is it that you would recommend our company/product/services? NPS categorises customers into Detractors, Passives or Promoters, depending on the rating they give on an 11 point scale from 0 to 1. When calculating NPS, the Passives are not counted (this is because Passives have shown no strong bias for or against your organisation, and could easily sway either way). The result is obtained by subtracting the percentage of Promoters from the percentage of Detractors, and then multiplying that number by 100. 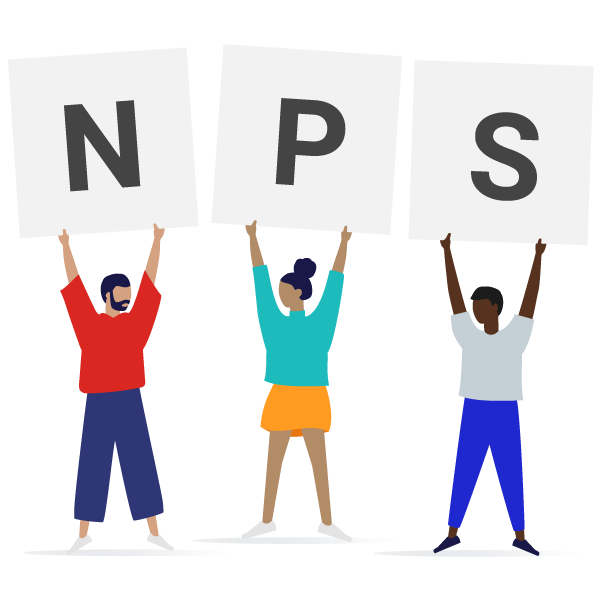 The resulting NPS score should be a number between -100 and 100. Detractors are customers who rate between 0 and 6. These customers are not satisfied, and are expected to leave the first chance they get. Passives are customers who rate 7 or 8. They are generally satisfied, but they can be easily swayed to change providers. Promoters are customers who respond with a 9 or 10. These customers are loyal and likely to recommend the product or service to others. If there are no complaints, it doesn’t mean there’s nothing left to improve. Detailed feedback helps teams become more efficient at implementing improvements. The more detailed the feedback is, the more efficient the team can be at implementing changes. More than that, this represents a great opportunity for the company to acknowledge its strong points. Involve the Entire Company in Improving Customer Experience. Regardless of position or department, each employee should understand the importance of our customer experience, and should be able to assist customers with finding a solution to their needs. Through education, our employees will understand what turns Detractors into Promoters, and vice versa. Turn Negative Feedback into an Opportunity. Praise and positive feedback should always be celebrated, but the biggest opportunities for growth exist where there are points of friction. Negative feedback should be acknowledged and responded to across the organisation, so that the same problems don’t occur across different departments. At Chorus Call, this is a pivotal part of our company culture. Team members are taught to become team players, and rely on feedback to help our company grow. When negative feedback is received, it becomes an opportunity to fix a problem, review a process, or examine how we can do better. It’s simple – we asked! Periodically, we send out surveys to our customers asking them to rate their experience on a scale of 1 to 10. Although we have been doing this since the start of 2018, our high marks are still the result of a small sample size and we do expect to see this number drop over time as we gather more data. Nevertheless, we’re very proud of the overwhelming positive feedback we’ve received and will continue to use the NPS method to measure the sentiment of our customers and implement change. Excellent, friendly and professional service! Chorus Call makes the whole process of conducting a teleconference easy. The company and staff are always so professional and helpful. Willing to go above and beyond to help their clients. Very professional and reassuring service provided. All went very smoothly in our event and the operators are helpful with any questions. All went really smoothly on the day and the communication we had in the lead-up and during the event made me feel very at ease. Love your work! Great communication in the lead up and fantastic product. Very happy! Thanks for your team’s work – Chorus Call is a dream to work with.